A1 Garage Door Service Denver provides solutions to all your garage door concerns – from purchasing a new garage door, installation, maintenance, and repair. 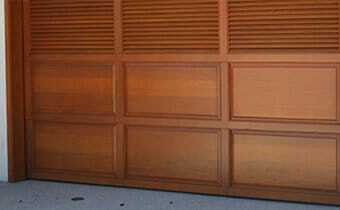 A1 Garage Door Service Denver is your trusted and respected garage door service provider in this part of the county. We will be more than happy to assist you with your needs. A1 Garage Door Service has been in business for two decades and through those years, we have gained the trust and respect of our clients. The testimonies of our clients are the badges we wear for the excellent work that we have accomplished. You can read about the reviews of our clients in Yelp where they have given us a five-star rating because our clients rave about our service. We are proud of what we do and we are grateful that the people appreciate our hard work. Our clients serve as our inspiration to continuously do better so that we can provide them with the best service possible. A1 Garage Door Service Denver has also received an A+ rating from the Better Business Bureau or BBB. This means that they believe in the standard of service and competency that our company offers and that they acknowledge how we have adhered to business regulations and processes. Our company was also given the Angie’s List Super Service Award as an acknowledgment for the excellent service that we provide in the communities that we serve. These awards and recognition mean a lot to us because they are testaments for the effectivity and efficiency of our service. They enhance our reputation among clients and colleagues. They encourage us to maintain the level of service that we give and even raise the bar to exceed the expectations of our customers. A1 Garage Door Service Denver is licensed, bonded, and insured so you can be sure that we are serious about what we do. We are in compliance with business regulations. You can also feel safe and secure with your money and the service that we offer because we have got you covered in case something goes amiss. We also value the safety and protection of our employees that is why we have insurance in case an accident happens. Our team is composed of professionals who have the knowledge about all aspects of garage door service. We make sure that they have passed our strict background investigation before hiring them. They regularly undergo training to be continuously updated with garage door service and customer service. Does your garage door need checking? Call A1 Garage Door Service Denver at (720) 400 7727 today so that we can look into it. Book an appointment with us at a time that is convenient for you. Our staff will personally go to your house to check the problem and give you a free estimate of the cost. We have an extensive collection of garage doors, parts, and accessories that will surely fit your budget and preference. Check with our representatives regarding the promos, discounts, and warranties that we offer.